La Veen on King is one of those cafes we absolutely loved when we first visited and have been meaning to get back to for some time. We love that they pair interesting and unique meals with brilliant coffee and our expectations were high! We placed our orders and the counter, starting with a couple of lattes. 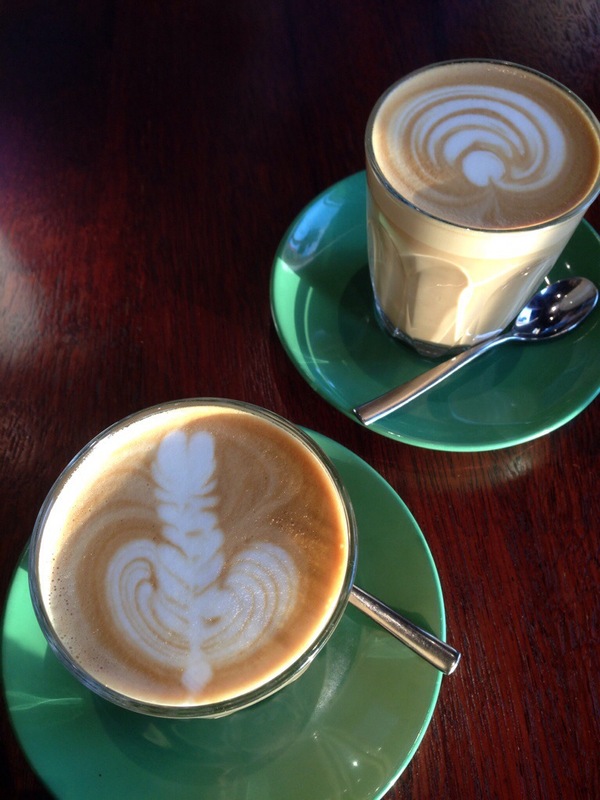 They were just as we had hoped, delicious, creamy and full of flavour, La Veen really know how to nail great coffee! 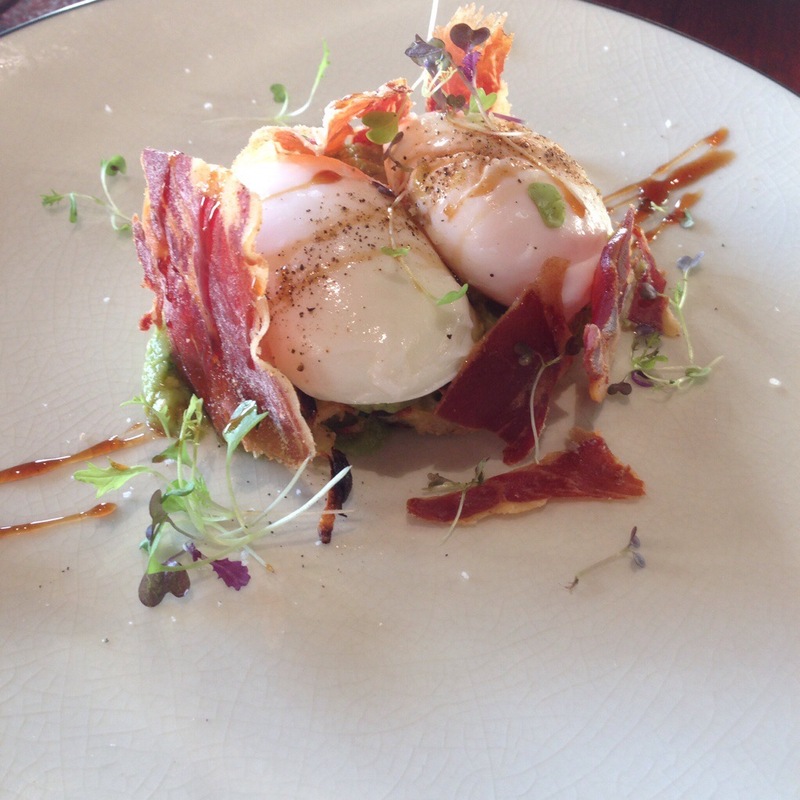 Our first dish was jamon Serrano with poached eggs and rosti. This was a more recognizable version from that we tried at Metrio and probably more traditional. Jamon Serrano is a favourite ingredient at Le Veen, and we really enjoy it’s crispness and flavour. The slow poached eggs were well cooked and the dish as a whole was very enjoyable. 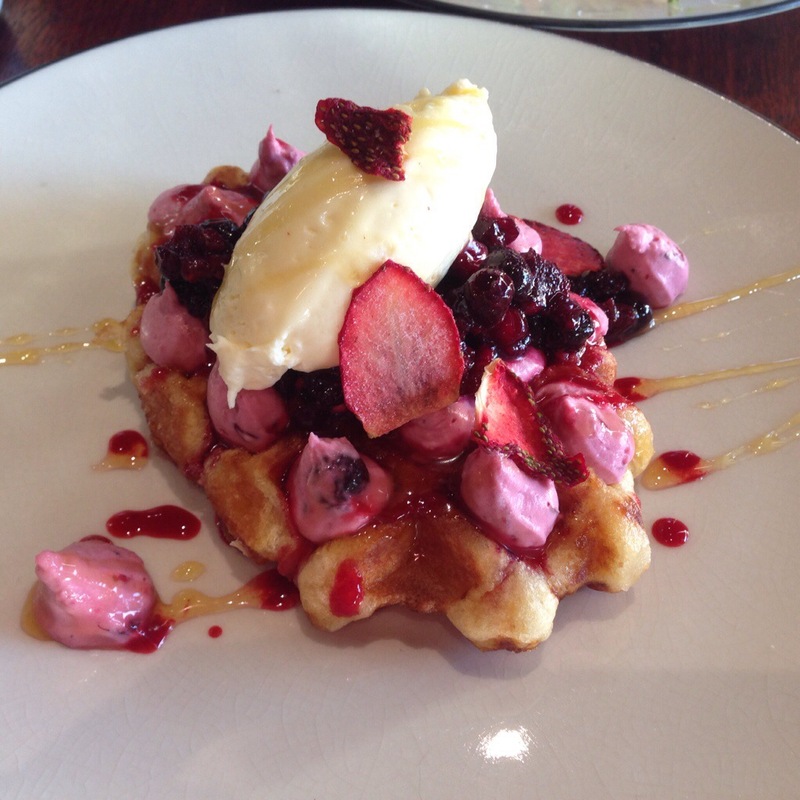 These waffles have done the rounds of Instagram and it’s no surprise. They are pretty as a picture, the berry just shines through and it’s obvious a lot of effort has gone into their plating. The best part of this dish is the interplay of berry, it’s done so many ways and with so many different textures that every mouthful is an explosion. The snap freeze strawberry was particularly wonderful, it was also a great feature of their museli on our last visit. This dish was made with care and really packed a flavour punch! La Veen continue to impress with beautiful dishes and excellent coffee. King street is definitely better when you know you’ll find this little gem at the end of it!